Paws in the Park is the Toronto Humane Society's annual walk-a-thon and largest fundraising event. Taking place at Woodbine Park starting at 9am on August 23rd attendees can expect a fantastic silent auction, tasty food, primping for your pup on-site, interactive dog performances, a world class magician and much more! Don't forget to sign up as a participant today to win great prizes including roundtrip airfare for two or a Cuba cruise! 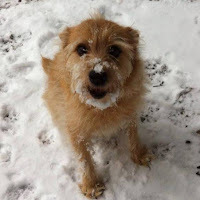 This year on behalf of all you great readers and advertisers of the Toronto Pet Daily, my 11 year old rescue Nelly and I will be walking to raise funds. I adopted Nelly from the Toronto Humane Society five years ago after his mom went on to live in an assisted care facility, and he's been smiling ever since! I really do urge you all to sign up for the event. I've done the walk before & it's a blast! If you are unable to attend, please consider making a donation to THS. Of course Nelly would love for you to donate to him, and you can do so on his personal page. Nelly hopes to raise at least $1000 for this great cause, and his tail won't stop wagging in anticipation! Here's just the latest example of the fantastic work the Toronto Humane Society does in helping needy pets find their furever homes : http://www.thestar.com/news/gta/2015/06/07/all-pets-are-off-at-human-society-event.html. Cheers all. Hope to see you on August 23!